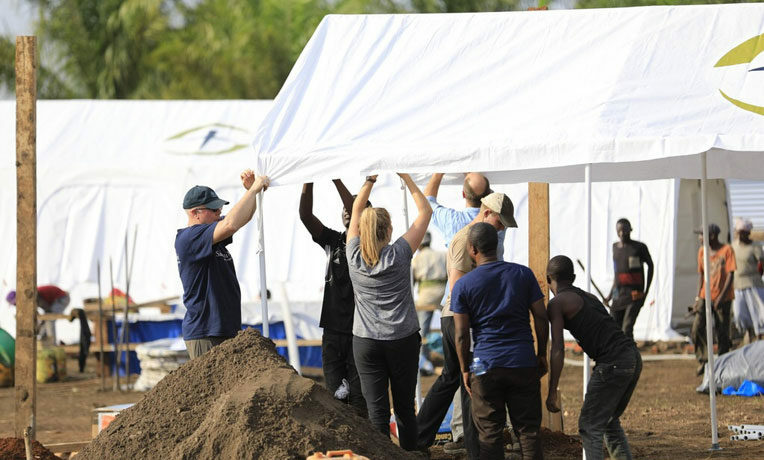 Samaritan’s Purse is preparing to open a treatment center in the Democratic Republic of the Congo as the Ebola outbreak has now become the second deadliest in history. According to CNN, 368 deaths have been reported in the outbreak that began on Aug. 1 and another 609 patients are suspected to have been infected. The virus, one of the deadliest in the world, which causes severe headache and hemorrhaging, has a case fatality rate of close to 60 percent. The organization, which assists with disasters around the world, sent a 21-member disaster assistance response team to the African country, where it has operated for eight years, on Dec. 26. Megan Vitek, program manager for the international health unit, noted that the team in DRC is also helping with community awareness campaigns to educate people about the warning signs of Ebola. “The Lord put us there months before for a reason — to be able to love and care for this community in the midst of a deadly epidemic,” Vitek said.